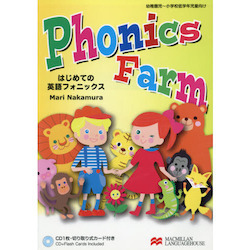 A fun phonics course, specifically designed for young Japanese children. In this book, children learn lowercase letters, pronunciation and four new words for each letter. For instance, in Lesson one, the children learn ‘a’ sounds [æ] together with four words, apple, ant, alligator and ambulance. In total 104 words will be taught and the children will begin to be able to read words such as cat, dog and so on. Bilingual Teachers’ and Parents’ guide is included. A CD with full of chants and perforated flashcards are included in the book. 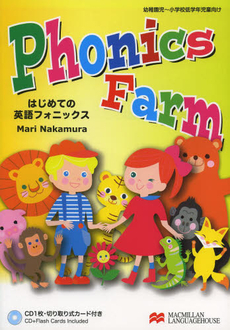 In addition to the Alphabetical phonics units, there are review units and a picture dictionary. The downloadable flashcard images, board games and extra activities are great for both use at home and in class.